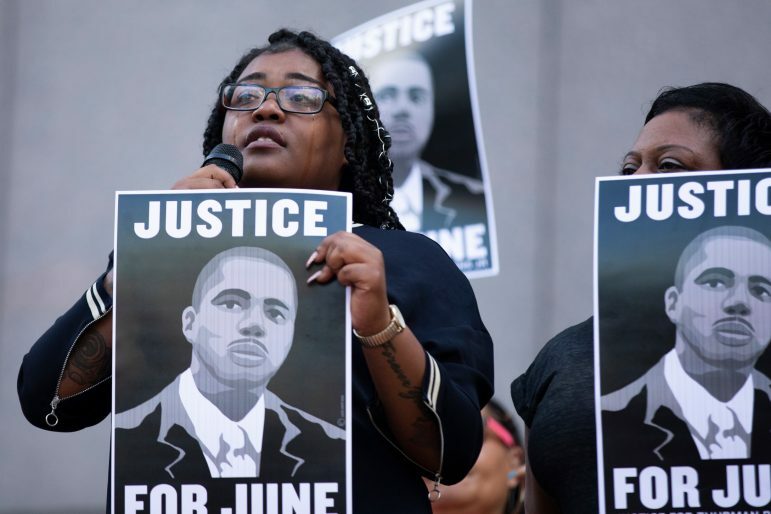 Family members of the late Thurman “June” Blevins Jr. and activists are keeping up the fight for justice in spite of Hennepin County Attorney Mike Freeman’s decision to not file charges against the officers involved in his fatal shooting. Blevins, 31, was shot and killed by Minneapolis Police Officers Justin Schmidt and Ryan Kelly on June 23 after they responded to a 911 call of a man firing a handgun in the area. After a brief foot chase, Blevins’ was shot multiple times in an alley in North Minneapolis. The City released police camera footage of the shooting on July 30, and the following day, Freeman announced his decision, sparking protests and outcry from Blevins family members and activists. 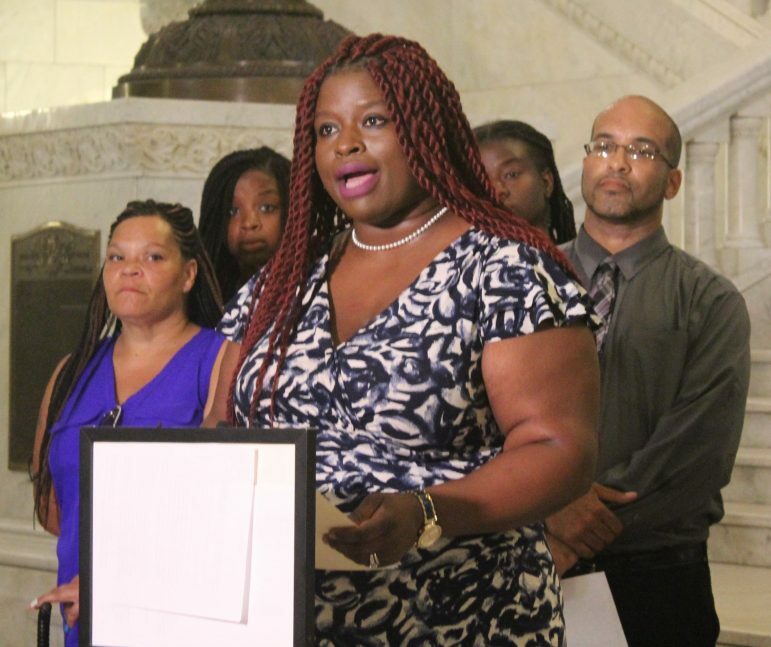 On August 3, the Justice for June Committee held a news conference at the Minneapolis City Hall Rotunda, citing the officers’ complaint history and their aggressive behavior on the call as reasons why they should be terminated. The committee pointed to the Blevins shooting as part of a bigger cultural problem within the Minneapolis Police Department (MPD). They are calling on a third-party investigation. “If you want there to be a paradigm shift and a cultural shift in the MPD, then start with firing these officers,” said civil rights attorney Nekima Levy-Armstrong at the Friday conference. Levy-Armstrong pointed out that of the 30 people killed by officers in the past 18 years, 19 were Black. “Thurman’s life ended because two Minneapolis police officers, Justin Schmidt and Ryan Kelly, did not see him as a human being …and they chased him and hunted him down like an animal,” Rashaun Brown, cousin of Blevins, said. Earlier in the week, hundreds of people gathered for an “emergency protest” at the Hennepin County Government Center following Freeman’s announcement on July 31. After hearing from various speakers who decried Freeman’s decision, including Chauntyll Allen, Leslie Badue, and Nekima Levy-Pounds, the marchers took to the streets. 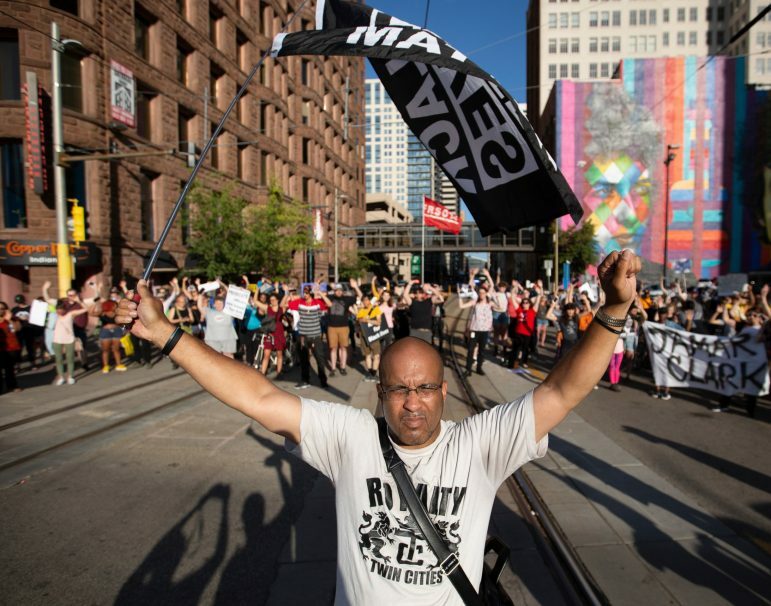 “No justice; no peace — prosecute the police!” rang through the streets of downtown Minneapolis as the crowd made their way to the Government Plaza light rail station where they blocked the transit line for roughly 10 minutes. The protesters stopped at every major intersection through the march route, forming a circle and in some cases, blocking transit routes and traffic. Tension flared as protesters met disgruntled Minnesota Twins fans who were en route to the 7 pm game at Target Field. Another tense moment occurred when a woman attempted to grab a protester’s sign and a brief scuffle broke out between the two. The woman was reportedly hit in the shoulder and arm. No arrests were made, according to the MPD. Keith Schubert is a contributing writer at the Minnesota Spokesman-Recorder. He can be reached at kschubert@spokesman-recorder.com.